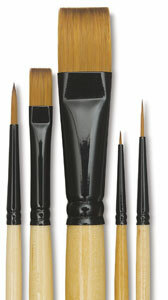 Dynasty's Black Gold brushes feel more like black velvet. Premium Black Gold nylon hairs are multi-diameter, multilength, dyed, tipped, blended, and polished for expert paint delivery. 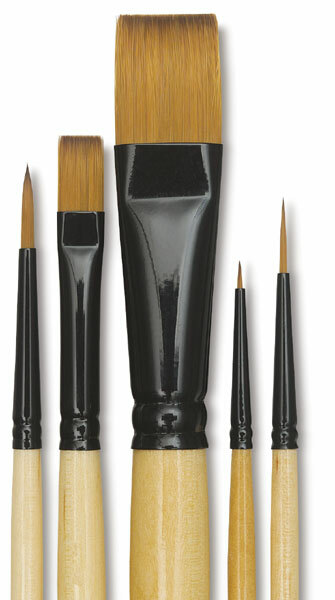 Designed for the expressive strokes of the decorative painter.